The IMF strikes me as the Ministry of Silly Walks. China might put further pressure on the gold market. yours is the voice of reason, thanks for the posts and keep them coming. Here is a thought i have often wondered. It is said that all CB's gold added up is about 18% or 15 million ounces of the total gold out there. Not much if you ask me. Nobody knows how much the IMF has, i am sure there recent sales are a drop in the bucket though. How much gold do the Saudi's have, where do they keep it (in a CB bank, bullion bank, buried in the sand ect..). What is the their world total as a percent? They have been hording gold as far back as the 1940's, how much have they acumulated and are they the true backers of the euro? PS. posted this in the last comments section as well. This Maguire interview is incredibly incriminating, and yet the price of gold and silver has fallen today. If the Chinese and other big players had taken notice as he implies, one would expect the PM prices to have risen significantly. d) Anybody else have a suggestion? To the contrary, and FOA drove this point home, that when the paper markets are publicly discredited the price will fall because anyone seeking real physical will go elsewhere. Most goldbugs expect a massive short covering rally to come once the game is exposed. FOA always said the paper markets were leveraged 100:1 and that when this was exposed the price would tumble knowing that settlement must be in paper. Not saying that is what's happening right now, but that is what to expect. Perhaps someone else has the relevant quotes handy. Thanks for your reply. I bought some more physical gold today here in Switzerland, at the spot price determined by the LBMA which still rules the entire paper game. The 100:1 leverage figure is tantalizing as is the potential short rally, but I find it hard to believe that the cartel would make such a slip. But then again, could they really be so stupid as to screw up the attempted McGuire assassination so royally? Jesse, at his best, has just posted The Case for Position Limits: What is the 'Spot Price' of Gold and Silver And How Is It Set? if I were going to set up a mechanism to allow price fixing and fraud to occur, I could do little better, except perhaps to set up something more like an opaque monopoly such as the Federal Reserve with the ability to create supply out of nothing. The investors and producers are largely at the mercy of those who control the paper markets And this says nothing about the involvement of the central banks in influencing the price, which they admit that they do, if only obliquely. When you bought your physical you received one ounce for each ounce-unit of fiat you paid, right? That is 1:1 leverage, or no leverage. Isn't it amazing that a market utilizing 100:1 leverage is still able to impute value on the parallel physical market? It's all about imputability at this point. One might call it The bargain of the century. The sale has been extended for a limited time, people! "In other words, the current price of gold means that you are buying a slice of the world’s gold supply with a proportionately smaller slice of the world’s money. You can currently buy x% of the world’s gold with y% of the world’s money, where x is much bigger than y. When gold will become the unit of account of the world’s wealth, you will find yourself able to claim a much bigger slice of that wealth than you would have been able to do with fiat money before the collapse. This amplification of buying power is the result of the suppression of the price of gold, and of gold’s absorption of all the value that would formerly have been stored as paper assets." "The 100:1 leverage figure is tantalizing as is the potential short rally,"
As I understand Another he was saying there will not be a short rally when the paper gold markets are finally discredited. Anyone holding paper who actually wants gold will want to cash out their position ASAP in order to chase physical metal. So the paper price might fall rather than rise even as physical prices are going berserk. I suppose that someone who only wanted paper might hold out for a cash premium while they can blackmail the shorts with a threat of standing for delivery. If the exchange declares cash settlement only then this threat goes away. At that point I guess the longs are royally screwed. FOFOA (or anyone else), i've always wondered how much money exists in the world. that quote with the y% got me revisiting that. can anyone put a solid statistic for that in M0/1/2/? There is an alternative. Gold! It is the only medium that currencies do not "move thru". It is the only Money that cannot be valued by currencies. It is gold that denominates currency. It is to say "gold moves thru paper currencies". 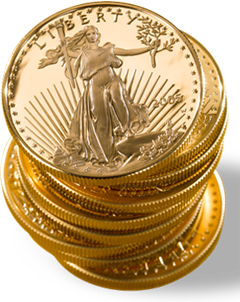 Gold can be used to revalue any asset, and not be destroyed in the process! How does the EU feel about the "weak" Euro? Couldn't be happier according to this Reuters article via JSMineset. ".....That, as French Finance Minister Christine Lagarde has said, can only be considered welcome news by euro zone exporters. "Given the 15 percent fall we've seen in the value of the euro since July 2008 against the yuan as well as the pressing domestic issues facing the region at present, it is hardly surprising that Eurozone politicians have little appetite to tackle Chinese currency policy issues at present," said Simon Derrick, currency analyst at Bank of New York Mellon. The euro has shed about eight percent versus the yuan since this year alone, primarily because it has retreated by roughly similar amount against the dollar, to which the yuan is pegged right now. More strikingly, for much of the decade before the downturn and collapse in global trade in 2008, exports from the euro zone to China appear to have risen more or less continuously in spite of the yuan's increasing weakness vis a vis the euro....."
"....... China revalued the yuan by 2.1 percent against the dollar in July 2005 and then let it climb nearly another 19 percent before calling a halt in mid-2008 to help exporters weather the global financial crisis. Europe if anything had more cause for complaint during that period because the reform did not lead to a yuan rise versus the euro. Indeed the euro rose roughly 10 percent versus the yuan in that period. But in 2009, when the industrialized world was struggling to pull out of recession, China offered Europe a helping hand. Euro zone exports to China grew four percent while exports to Britain and the United States fell close to 20 percent, according to data collated by EU statistics office Eurostat." thanks for the quote and the estimate. from a physics standpoint, it's quite ironic that gold is an excellent conductor, yet acts as an insulator of monetary value! Thanks for the posts. I feel the same way that something isn't quite right about this freegold. You just say it better than me. I wish I could put a finger on why I don't trust it. Thanks for the balance to the blog. So if I understand it, it is A v JS. One guy,A, says paper gold going down, and the other guy, JS, says gold is going up, $1650 bet etc. Will you say they can both be right? The only thing I see about freegold that makes sense is that THEY will have the gold and thus they benefit ala 1929 when they bought everything up, including the media, after THEY crashed the market. That makes for some great research. It comes down to will they allow some peons, us, to gather some crumbs from their table. If they can destroy the world's finest healthcare system, against the will of the people, that even if you didn't have coverage and you were hurt and had to go to ER the law says, said, you HAD to be treated, then they can do anything. As we have seen with the CFTC song and dance and the King interview, they run the show, globally. Will they decide to air freegold is the question this blog should be addressing, not this "
freegold makes sense for these 100,204 reasons and you can count on it since it HAS to happen because of all 100,204 reasons I have posted." Is that a straw-man or what? This blog is starting to have posts leak into it saying "well I guess freegold looks more and more inevitable now". Huh? I agree gold SHOULD go up but I don't think we KNOW if it WILL. JS seems like real world analysis and this blog, that I can't help read (it's like doritoes), is the theoretical. I hope events start to happen that challenge your views. Maybe what ECB/BIS does with Greece will show their hand. Then again, maybe you are saying that and I am missing it. He makes his stand by saying, "I'll stay away from this one - the criminals have proved that they can intentionally falsify the valuation of trillions of dollars in "assets" on balance sheets and otherwise cheat with wild abandon, but nobody will bring charges. There is no reason to believe that you or I will be the ones who are able to get through the tiny little door if indeed this is the game that is being run, and every reason to believe that instead of the starry-eyed profits you dream of you will instead suffer a monstrous loss." I would argue that would not happen until they've been severely discredited "in public". With a 100:1 leverage (minimum) I would argue that the BB are firmly in control both up and down. A little decrease in price could easily be offset by closing some shorts if they feel too much of a decline would discredit the market. I think we would have to wait for an exodus from paper (hyperinflation the currency event) or a real tight physical market before anything big happens. Is he really this blind or is he trying to scare prospective physical buyers away from the metal? This marches the capital controls nicely. They are still working on reinflating asset prices, but one can wonder whether they'll succeed. Markets tend to see true those actions. "With a 100:1 leverage (minimum) I would argue that the BB are firmly in control both up and down." With a 100:1 leverage (minimum) I would argue that the BB are 1% (maximum) away from default and cash settlement only. Perhaps, but it seems as though most players are in it for the cash. To bad we don't know how long this amount of leverage has been in the market but I think it has been this way for quite a while. According to FOA most players don't even have the money required to ask for delivery and put up margins for maximum leverage in their play on the price. That's why I said that we would either have to see a very tight physical market or a rather public discredit of the papergold market before it fails. We do seem to be slowly moving that direction. 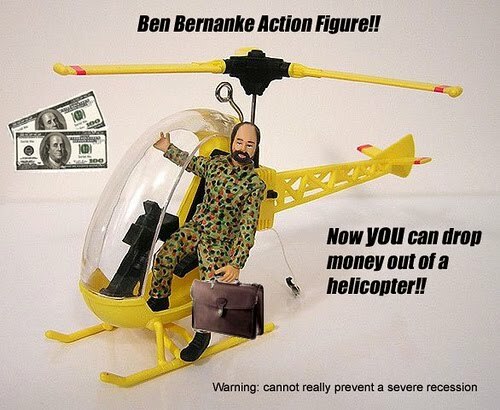 Guess Bernanke will have to bring back some of those choppers from Afghanistan soon. Obama wants to increase domestic oil drilling. Could be an interesting development. Perhaps something is happening? Looking into daily report of delivery notices on gold, you can see 7 925 gold contracts stands for delivery, which can be considered quite enough for first day of delivery. Does anyone dare to make a projection on the performance of the ETF's that "guarantee" delivery in gold (CEF,PHYS,ZGLD) in the face of a GLD blow up? Would they be able to withstand the storm even if they truly do have the physical on hand? Just imagine Janet Tavekoli and Stewart Thomson on a blind date. Wow, to be a fruitfly on the appetizer tray! Maybe Jim Sinclair could chaperone? Desperado, simply have no answer to your question but hope this link can help you a bit. It states, how Central Fund Of Canada is valued over net assets value, i suppose because CEF is expected to have real metal. Maybe these charts can tell you something too. These "funds" might have the metal (well, some of them at least), but there's nothing stopping the government from looting them first. The gold in your possession - that it will have to cajole out by promises of tax breaks, premiums (yes, to the freegold price), etc. - kinda like black money hidden from tax that the government offers amnesty on to get it out. Those who paid the taxes, well, too bad; those who didn't - lottery! I have to concur with your reality vs. theoretical construct re freegold. I have never been able to reconcile the dualism of metal and transaction. One is by definition a function of the other. Full stop. As such it is by definition a contraint, which is antithetical to the foundations of the current global clearing mechanism. To many unknowables (games with games)like how could a bank hedge their fixed assets (loans) against variable priced deposit liabilities? What would such a mechanism mean to global growth rates (and interest rates) vs. debt loads? Such a system is inimical to the entire 401K and pension complex which itself amounts to primarily a perpetual recycling of money into LT liabilities in support of local, state and federal liabilities (bond market bridge). Freegold has many merits but envisioning it as a psuedo Swiss guard looming over the world's central banks comes off as a bridge too far. Constraints hobble creativity (the jails are full of them) - haven't you heard. Amazing to see the GATA/JPMorgan story cannot get picked up in the mainstream press. Manipulated markets, muzzled press, controlled economy. What can break such a stranglehold? As other posters have said the freegold story is a compelling narrative, but how likely in reality? The fact that the original writings are over 10 years old indicates that the powers can manage things for a very long time. If the game is about to be lost, they simply change the rules. "I agree gold SHOULD go up but I don't think we KNOW if it WILL." I, for one, KNOW IT WILL. On wikipedia, Bullionvault is named as having 18 tons of physical. Can anyone advise/guess if my portion of that really IS physical or whether it is infact the dreaded paper gold??!! That is bigger than the reserves of most countries however! Although I can agree to those feelings we should not overlook the fact that apart from the timing many things happened that were predicted. The paper gold market is starting to be more openly discredited, Bernanke has been printing to make good on most debts, central banks have turned from net sellers to net buyers, Saudi was indeed payed in gold, there seems to be somewhat of a struggle between the US ($IMFS) and Europe. Does that mean freegold is unavoidable? In my opinion by no means, but if things developed in a certain direction recently it's the direction of gold. The king world news site is down.